The mission of the Armada Senior Center is to facilitate the social and physical well-being of senior citizens by providing access to community resources, providing programs and travel opportunities that help to maintain senior citizens' independence and wellness. A senior citizen is anyone 55 years and older. 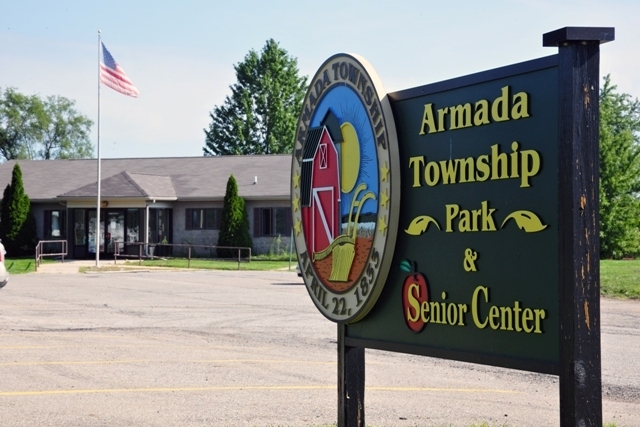 The Armada Senior Center is located at 75400 North Avenue, just north of town by the township park. It is open Tuesday, Wednesdays and Thursdays from 9:30 a.m to 2:30 p.m. The Armada Senior Center Welcomes ALL people 55 and over. We are a fun loving group that offers a little bit of something for everyone. If you have a special craft/talent you would like to share or demonstrate to your fellow Seniors or a program you would like to attend, let me know. Need info or a newsletter mailed to you, call 586-784-8050. For more information, call Director Donna Peitz at the center at 586.784.8050 or by e-mail at seniorcenter@armadatwp.org. © Copyright 2019 Armada Township.